Kustom Signals Inc. is now shipping the LaserCam 4 LR for long range target tracking. 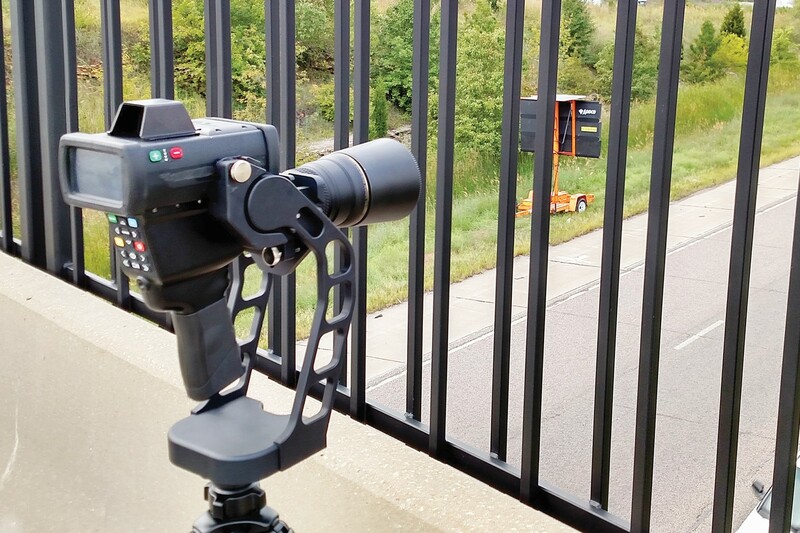 The LaserCam 4 LR is an optical lens accessory that utilizes a tripod mounted yoke and a telephoto camera lens to double the operational distance at which the LaserCam 4 can identify target registration plates and other offenses. The LaserCam 4 LR is able to provide video or photo evidence. Powered by the award winning ProLaser 4, LaserCam 4 is made to offer greater range to target, faster acquisition time, and image resolution of plates at longer distances, providing a comprehensive video record of tracking history.